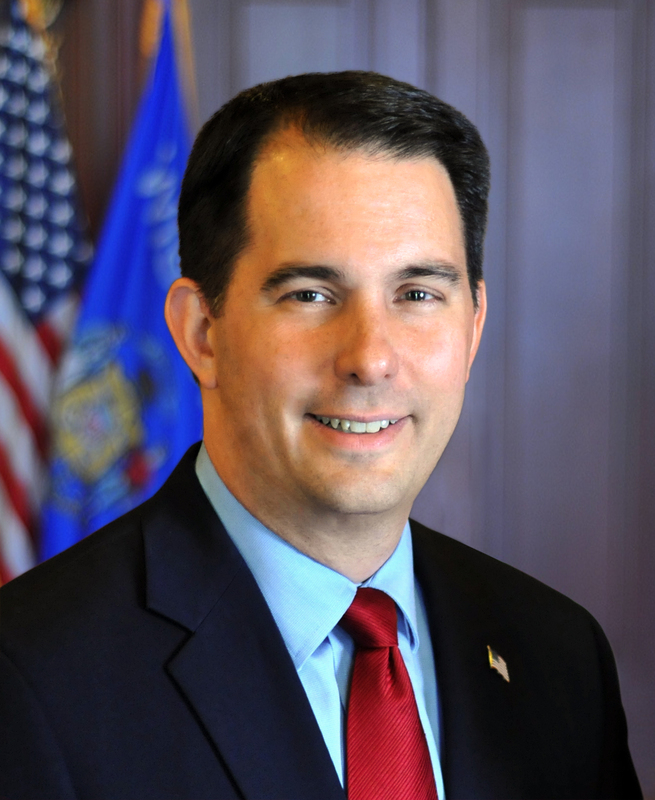 MADISON – Governor Scott Walker released the following statement today after the nonpartisan Legislative Fiscal Bureau (LFB) released a report showing the state budget would end with a better than projected $385 million surplus. A copy of the LFB report can be found here. Good, then FIX THE ROADS !!!!! Govenor Scotty : Aren’t we still borrowing heavily for roads ? -“expenses are down because we are committed to being good stewards of taxpayer dollars.” HARDLY– GOOD STEWARDS DON’T BORROW US TO ETERNITY FOR RE-PAYMENT. And this is with the increased spending for schools!! Wow. So proud to be in Wisconsin during Governor Walker’s term, and see such a turnaround take place. Wash Co : Amazing what you can fund if several years before you severely cut school funding and now restore those cuts . Where are we ? Maybe about even ?? -Not so proud to be in Wisconsin with the outrageous borrowing going on due to the Republicans and the roads maintenance issue not even being addressed. Dianne Hendricks thinks your reform is working. Herb Kohler thinks your reform is working. Richard Uihlein thinks your reform is working. WMC thinks your reform is working. ALEC thinks your reform is working. Charles Koch thinks your reform is working. The Bradley Foundation thinks that their reform is working. WTMJ and the MJS think your reform is working. Jim Ott and Alberta Darling think their reform is working. All I see is lousy roads, emaciated public servants, public land disappearing, individual rights and local rights handcuffed by new legislation, polluted drinking water and public tax dollars siphoned off for corporate welfare. Screw you Scott Walker. Career politician Scott Walker ran Milwaukee and now all of Wisconsin right into the ground. He got drunk on power and drove the beautiful old state right into the ditch. What a trainwreck this charlatan’s reign has been. But wait, in the distance, there is a Big Blue Wave forming, could it be a tsunami? Yes, it could be! And it just might finally wash all these republican charlatans and bamboozlers out to sea for good. Hmm? $4.5 billion to Foxconn, $250 million to the Bucks, $500 million to $1Billion (depending on who’s math you use) shortfall in road work. Yah sure Scotty, beat your chest over the “extra” $138 million.